Kaicho Seiji Kanamura 9th Dan (Japan) is one of the founders of The World All Kyokushin Karate Union and acting Chairman. He was born in Tokyo. His father and Mas Oyama knew each other for a long time. In early 1960’s, he became Mas Oyama's student. While training hard, he successfully finished food chemistry at Meiji University in Tokyo. 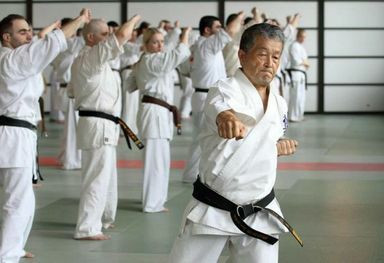 Between 1968 and 1971, he was the chief instructor in the Honbu Dojo. He became the Sosai Masutatsu Oyama's personal driver and bodyguard. In 1970, he received Best Technique and Best Spirit Awards as well as Best Attendance in special black belt training. Along side Masutatsu Oyama, he was in many movies and books. In 1971, Sosai Masutatsu Oyama sent him to the United States to teach for two years. After the two years, Sosai Oyama asked him to stay for another year. Kaicho Kanamura answered with an OSU! Each year, Mas Oyama asked him to stay for another year and the answer was always the same. Since then, he has been living and teaching Kyokushin in New York. He took over the dojo in downtown Brooklyn, which has been a legend in US since. Since early 1980's, he has been a professor at the Long Island University teaching sport science and karate. He has taught in many places around the world including Hawaii in 1974, Venezuela and Brazil in 1977, Canada in 1979, Haiti in 1980, and Italy in 1983. Kaicho Kanamura puts together the famous sword demonstration which was shown at many competitions. Kaicho Kanamura was the national team coach many times since 1975. At Sosai Oyama's request, he did unforgettable demonstrations at many championships worldwide. Each year since 2001, Kaicho Kanamura has been frequently visiting many countries teaching Kyokushin Karate and leading trainings. 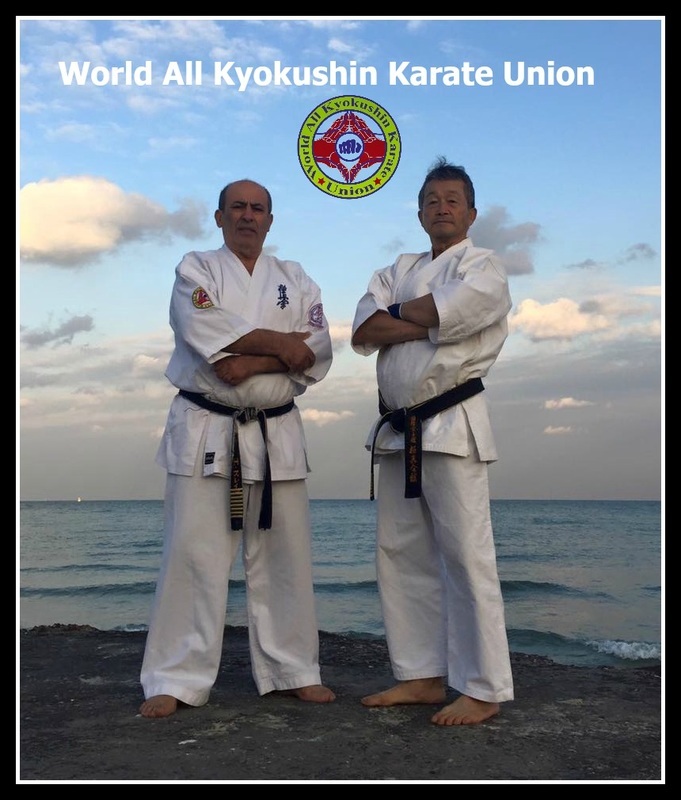 He is guiding and supervising the standards of The World All Kyokushin Karate Union.